The city of Palo Alto rejected Facebook CEO Mark Zuckerberg's plans to build four single-family homes around his main 5,000-square-foot home. We’ve all heard the old adage “third time’s a charm,” but that doesn’t seem to be the case for Facebook CEO Mark Zuckerberg, who is facing his third real-estate-related ordeal this year. On Sept. 15, the Palo Alto Architectural Review Board rejected Zuckerberg’s plans to remove two two-story and two one-story single-family homes surrounding his main residence and replace them with smaller family homes that would be used as guest houses. The city of Palo Alto says ‘no’ to Mark Zuckerberg’s residential building plans. Zuckerberg bought the four homes in 2013 in an attempt to maintain his family’s privacy. Currently, the Zuckerbergs have friends living in two of the homes, and the other two are used for entertaining purposes, said Zuckerberg’s architect Kathy Scott. “The idea is just to expand our client’s capacity to enjoy the property: sharing time with friends and family, having more outdoor space to play,” Scott told The Mercury News. Zuckerberg plans to build 4 homes that would be used as guest homes or extra entertaining space. The new homes would be 20 percent smaller than the original homes and only fill half of the allotted lot size for each home. All in all, the four homes would fill 60,000 square feet of space — 40,000 square feet larger than what the city allows for single lot. The original rendering for Zuckerberg’s guest homes in Palo Alto. The 4 homes would exceed Palo Alto’s single lot zoning limit of 20,000 sq. feet. Although the Zuckerbergs and Scott argue the compound isn’t a single lot, the Palo Alto review board says the homes as-is wouldn’t be marketable as single-family homes due to their odd layouts that favor entertaining guests and hosting special events. The city of Palo Alto’s 20,000 square foot single lot zoning rule is meant to protect single-family homes and prevent net loss of housing stock in an area that is already struggling with low inventory and booming housing prices. The 20,000 sq. foot single lot limit is meant to prevent net loss of housing stock. According to an additional report done by CNN Money, the Zuckerbergs are revising their plans and will resubmit them for review by the end of the year. 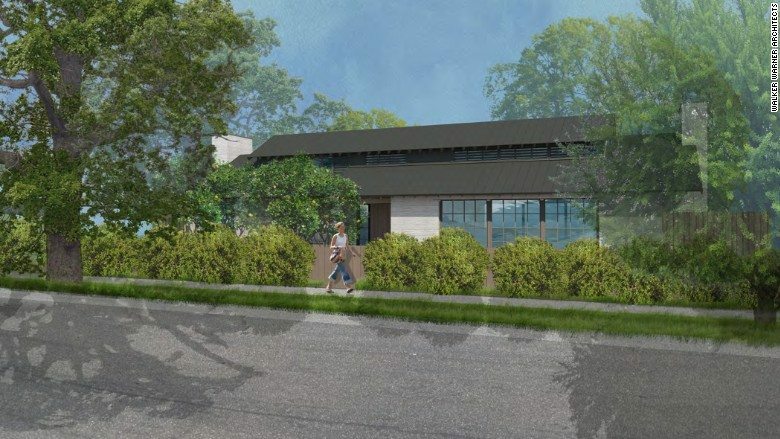 “We understand from Mr. Zuckerberg’s representative that they are interested in making some adjustments to their drawings responding to the concerns raised by the architectural review board,” said Palo Alto city planning director Hillary Gitelman to CNN Money. The Zuckerbergs are revising their plans & will resubmit them in mid-November. This isn’t the first time Zuckerberg has received pushback on his building plans. Earlier this year, Zuckerberg’s neighbors on the island of Kauai protested his plans to build a six-foot wall around his 700-acre property. And Zuckerberg’s neighbors in San Francisco accused him of hoarding parking spots and were upset with his plans to build additional private parking, too. Yahoo CEO copying Zuckerberg's 'protect your privacy' real estate strategy? Which markets have the biggest housing inventory shortages?